Umberto Eco is best known for his novel, The Name of the Rose, which was made into a cracking good film. But this Italian writer is also one of the great thinkers of our time. 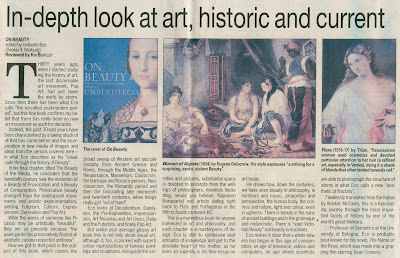 In 2005 I reviewed his book, On Beauty. 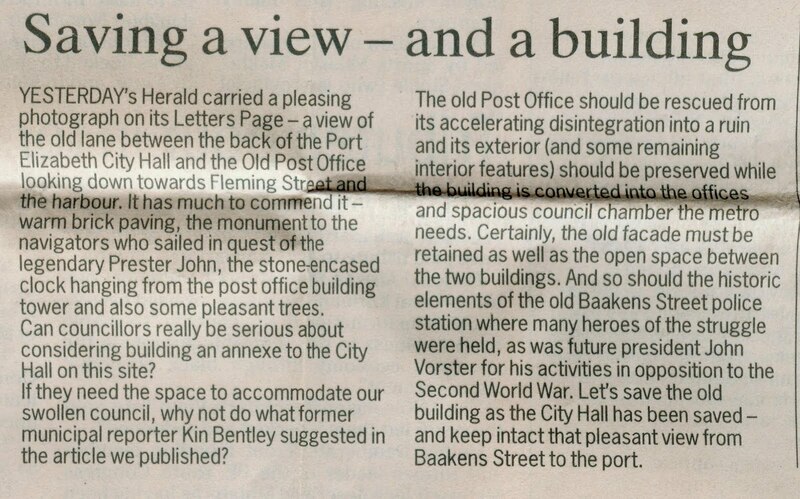 Also in this posting is a piece I wrote condemning an ANC plan to expand the historic Port Elizabeth City Hall, thereby destroying a treasured vista. 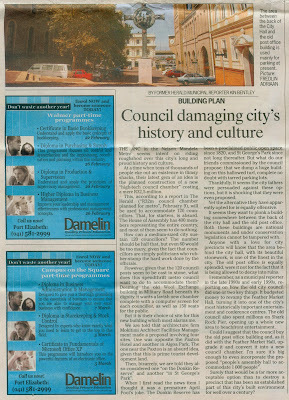 There is also a letter attacking my views on colonialism and a review of an exhibition by Aidon Westcott. 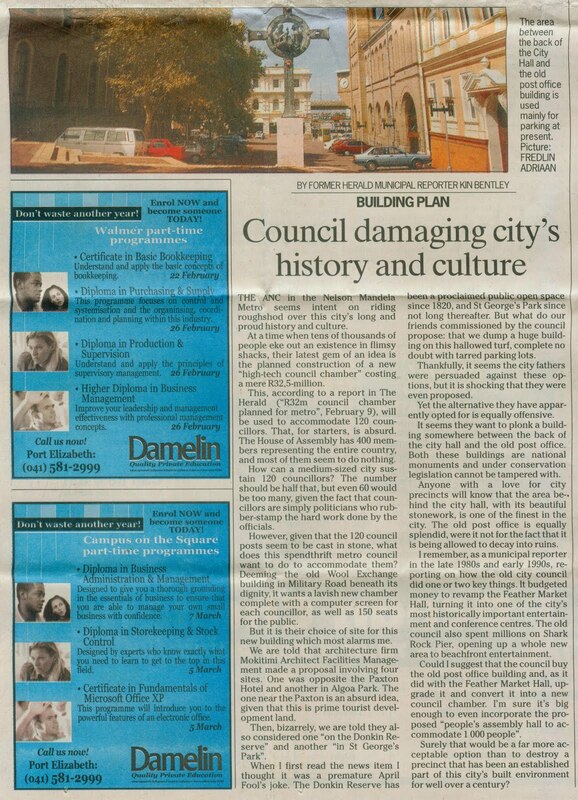 My piece criticising the ANC council's plan to disfigure a treasured part of the old part of Port Elizabeth, which appeared in the Herald on February 21, 2005. 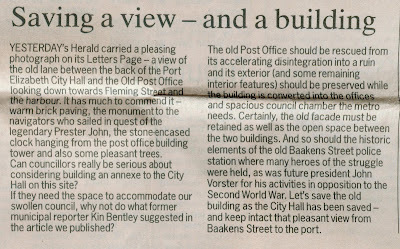 Back then my views were even deemed worthy of official comment from the Herald's leader writers. 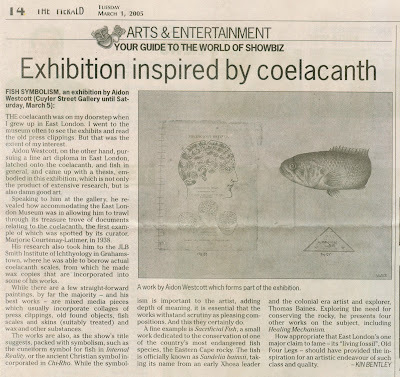 This sub-leader appeared on February 22, 2005. 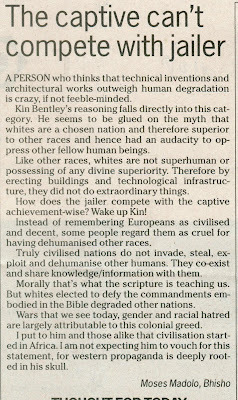 Taking the broader view on the impact of the colonisation of this part of Africa was not always welcomed. 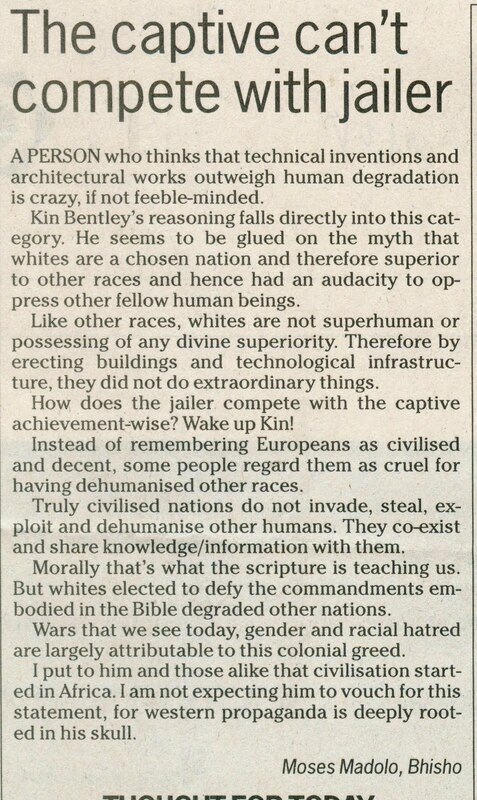 This letter appeared in the Herald on February 28, 2005. 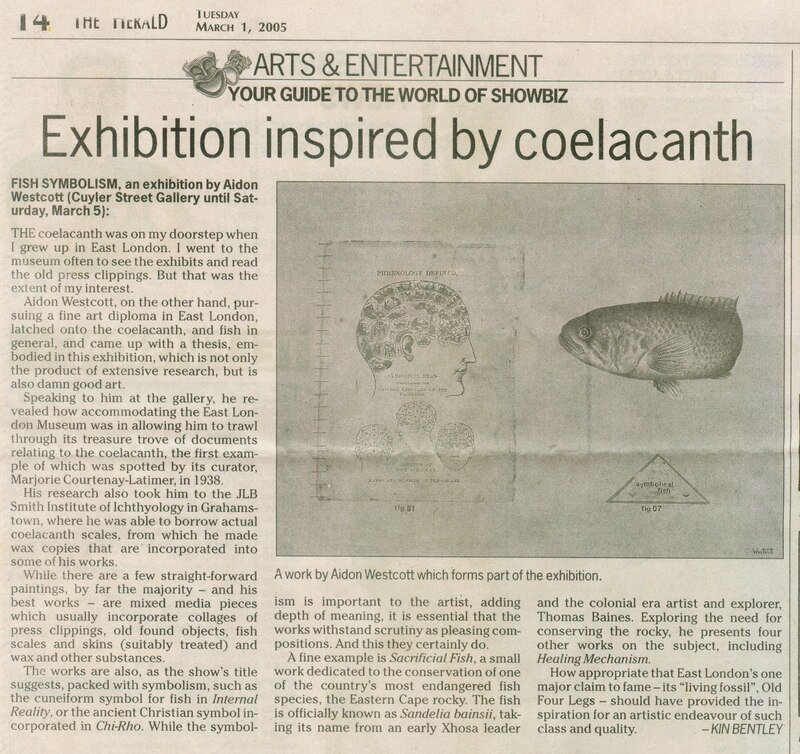 My review of Aidon Westcott's exhibition, Fish Symbolism, which appeared on March 1, 2005.